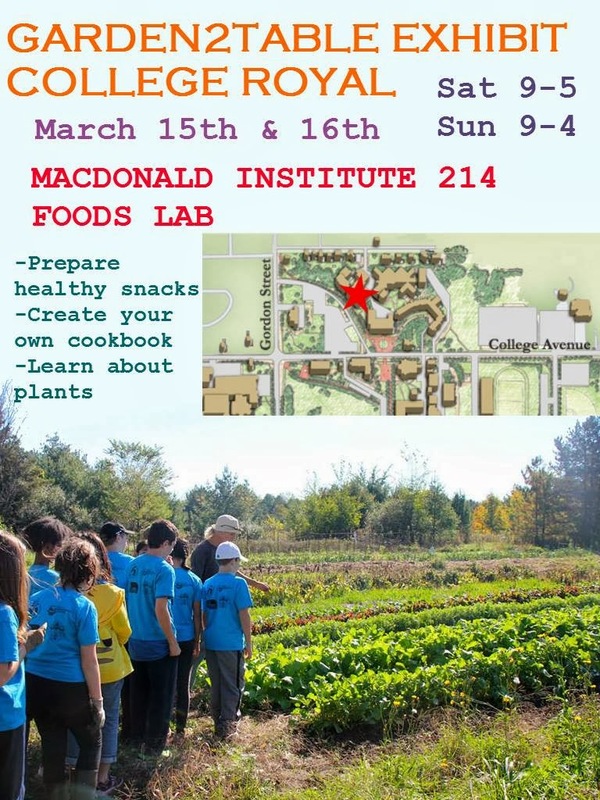 Garden2Table: College Royal: THIS weekend! Come check out our exhibit this weekend at the annual University of Guelph open house! We are gonna have five healthy snacks' recipes to make with kids or big kids: Kale chips! Microwave potato chips! Mustard Vinaigrette salad dressing! Eggplant Pizza! and DIY Smoothies!!!! Everyone can DIY your own cook book at the end, and take it home! Besides those exciting things, everyone will get a chance to plant your bean seeds! Take it with you and wait for harvest!!!!!! Come to check it out this weekend at MINS 214!